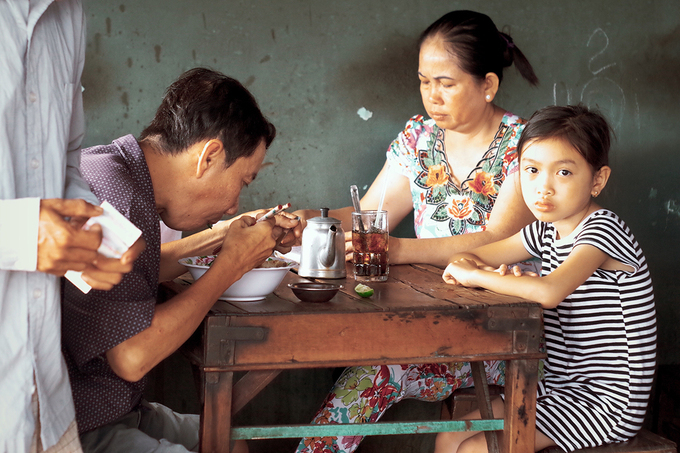 Customers of a nameless, unassuming coffee shop in An Giang are drawn by the ‘scent of time’ it exudes. 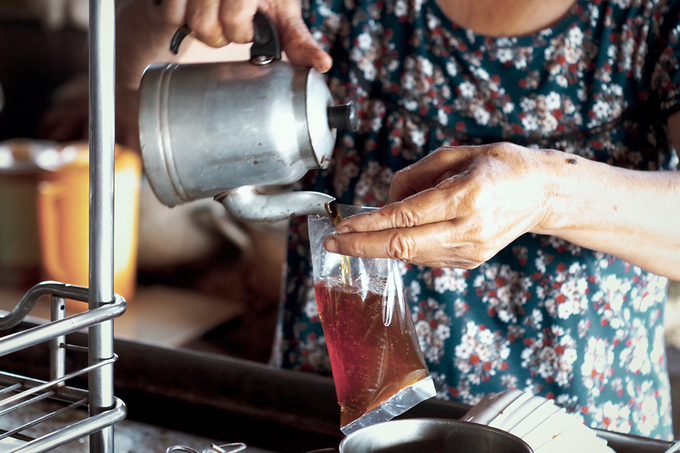 Near the Long Xuyen canal and Ong Manh bridge, Ho Thi Hanh has been running her coffee shop for 50 years. 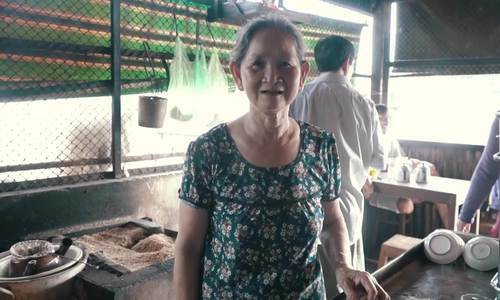 Her café has no sparkling billboard or even a clear address, but its simplicity, neatness, unchanged ambience and special coffee flavor have won the hearts of many customers. 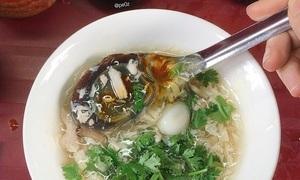 Local patrons refer to the shop “Muoi Ngau café”. 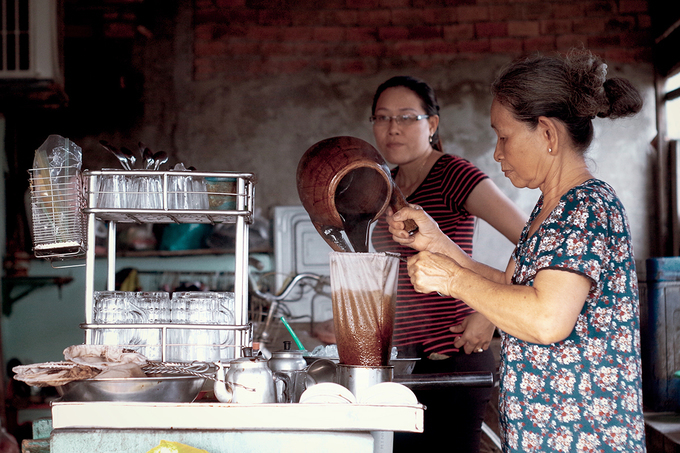 Hanh prepares the coffee after the customers place their order, so that every cup has a fresh, strong flavor. 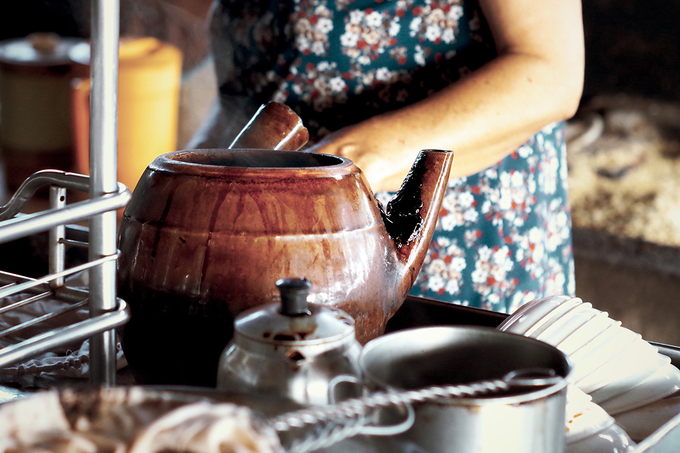 She brews the coffee in an earthen pot on a brick stove fuelled by rice husk. She uses an aluminum spoon to take the coffee powder from a tin container. None of her brewing tools are made of plastic. 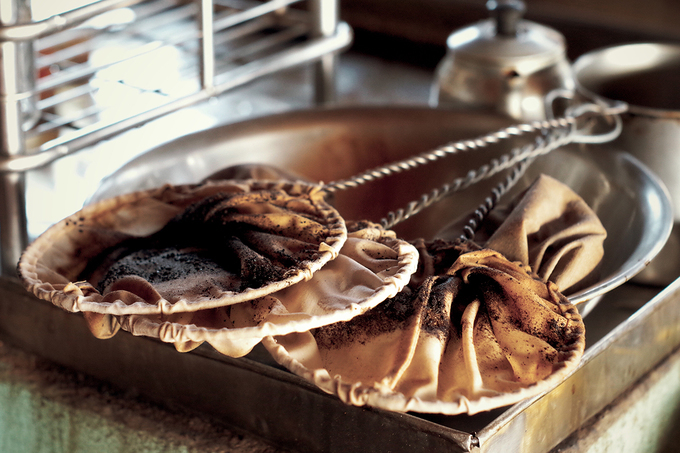 Once the coffee is brewed it is strained through cloth mesh before being poured into cups. Many customers said they can smell the “scent” of time as they wait for and enjoy their coffee. Before pouring the coffee, Hanh warms the cups by dipping them in boiling water, so the beverage retains its heat and warmth for longer. 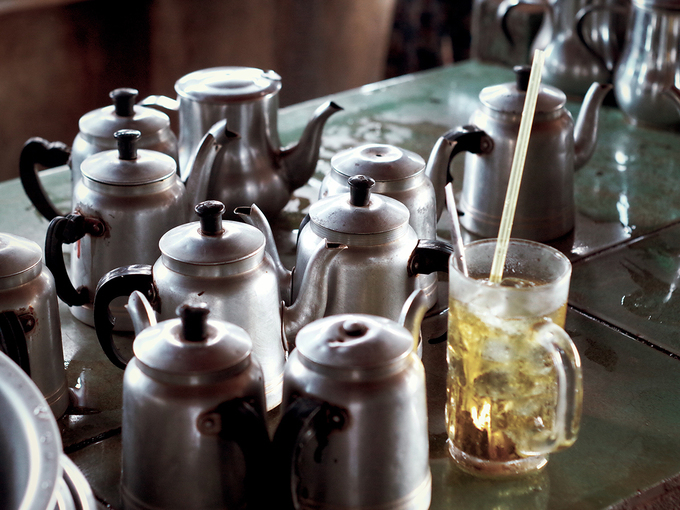 There is also a tea pot in the café that is usually refilled with boiled water. 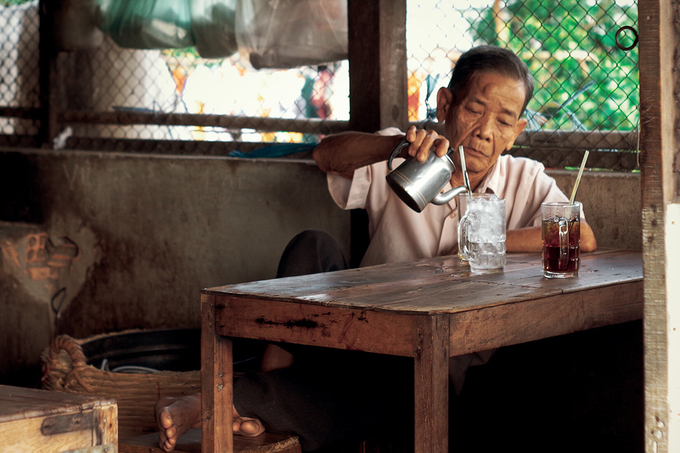 Hanh only uses one stove to boil the water for brewing coffee and tea. She is always busy brewing, pouring and serving. 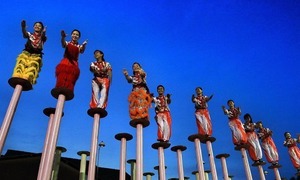 In the morning when the place is packed, she seeks some help from her two children. Despite the incessant work flow, Hanh attends to each and every one of her customers. She can notice who has finished their drink, and promptly refill their cup with coffee for free. “Should drink some more for fun,” she said, smiling. At the end of the day, the cloth filters are washed and placed on the side of the house to be dried by the sun and wind that blows from the nearby Hau River. The café’s takeaway options are simple, too. The coffee is poured into a plastic bag tied with rubber bands. A bag of tea that is double the size goes along. 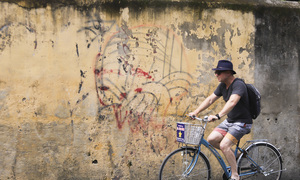 The shop is part of an old house, with unpainted walls. It can accommodate just three sets of wooden tables and chairs, all weathered by time. The aroma of coffee has been lingering on the ceilings walls for more than 50 years. People usually order a hot black coffee with some sugar and ice. 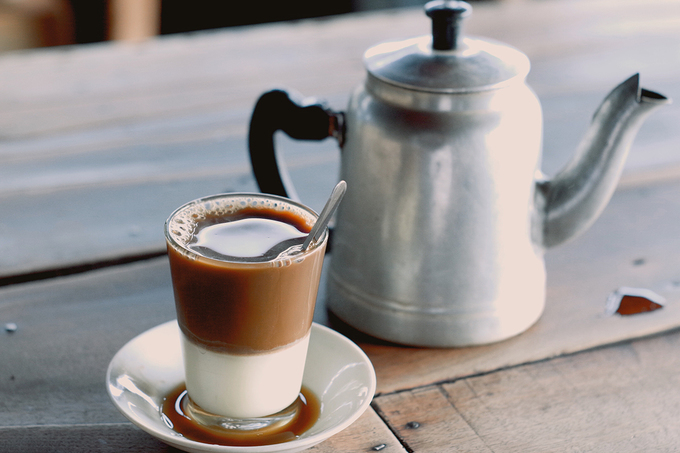 The milk coffee here bears the southwestern coffee style: the milk portion almost equals that of the coffee, creating a refreshingly sweet drink. 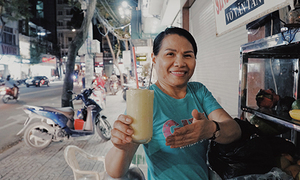 "In the past, when we first came here and asked her permission to take pictures, she would give us free coffee,” said Phi Thong, 22, a local resident. 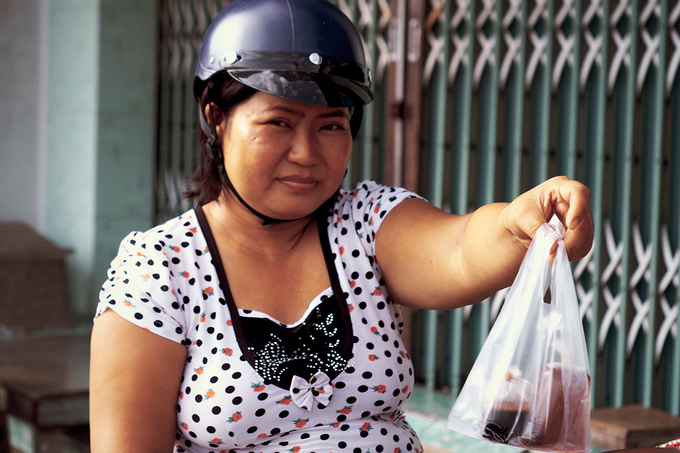 A cup of coffee costs just VND5,000 ($0.2). Most of the customers are local workers, who drop by for a takeaway drink in the morning, or sit and relax to get some rest during a long working day. The café is also the rendezvous for everyone from different walks of life to gather, have breakfast and engage in some chit-chat.